Actinopyga mauritiana (Quoy & Gaimard 1833), the White-Spotted Sea Cucumber, loli (Hawaiian). 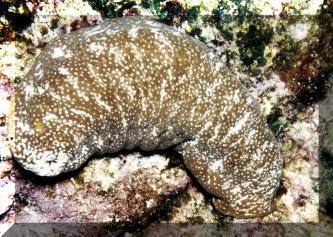 Frequently found in surgy, seaward, shallow water settings, holding on firmly to the rocky substrate with their tube feet. To twelve inches. Hawai'i pic. 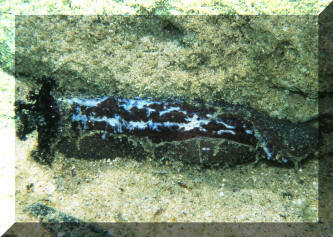 Holothuria arenicola (Semper 1868), the Sand Sea Cucumber. 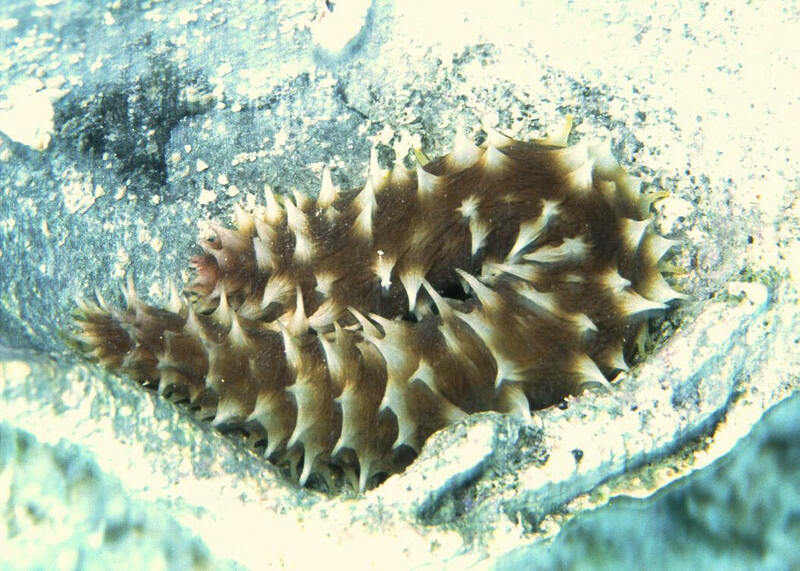 Circumtropical, found under rocks, intertidal to thirty meters. Can be white, golden to light brown. With two rows of darkish dots (usually reddish) on its dorsum. A good choice for aquariums as it does not eviscerate or produce Cuvierian tubules. Galapagos pic. 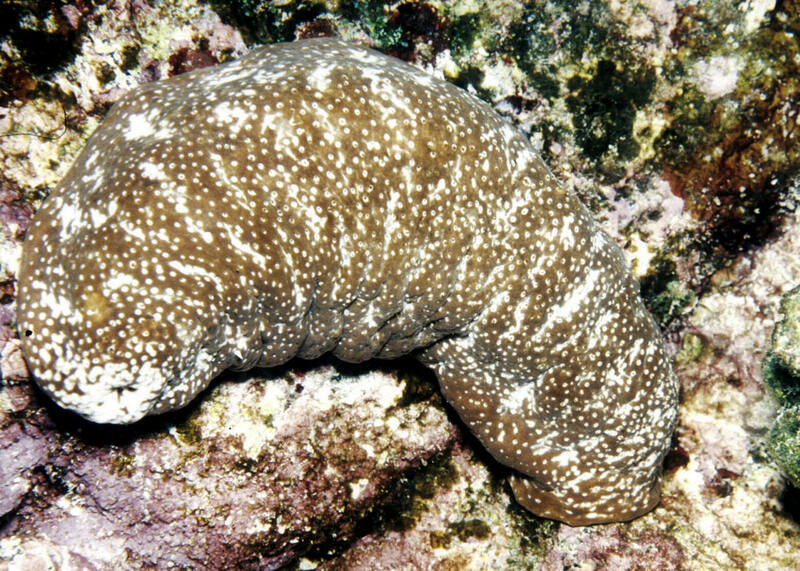 Holothuria atra Jager 1833, the Black Sea Cucumber. Indo-Pacific; Red Sea to Hawai'i. 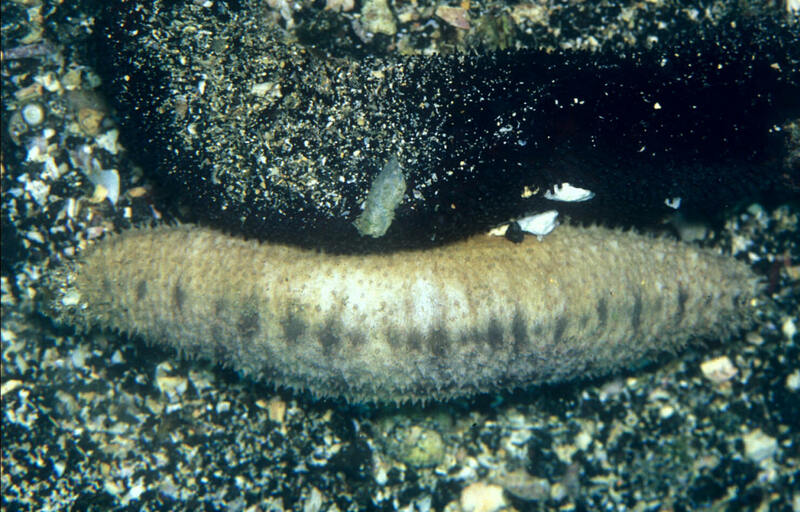 Detritivore often found in shallows, close to shore. Smooth, pliable black skin. 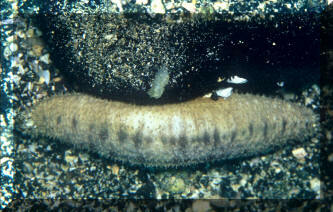 General detritivore. To two feet in length. This one in Hawai'i. 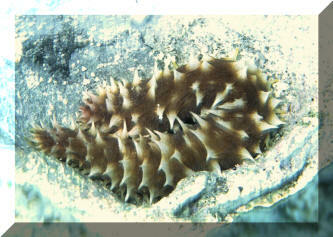 Holothuria hilla Lesson 1830, the Light-Spotted Sea Cucumber. Found partly exposed at night times in rocky and sandy settings. Indo-Pacific. Aitutaki, Cook Islands.